This fantastic Star Wars POP Vinyl character is from the movie 8th movie of the series Star Wars: The Last Jedi. This Chewie figure comes standing at 9.5cm in a displayable window box and is holding a mini Porg figure. 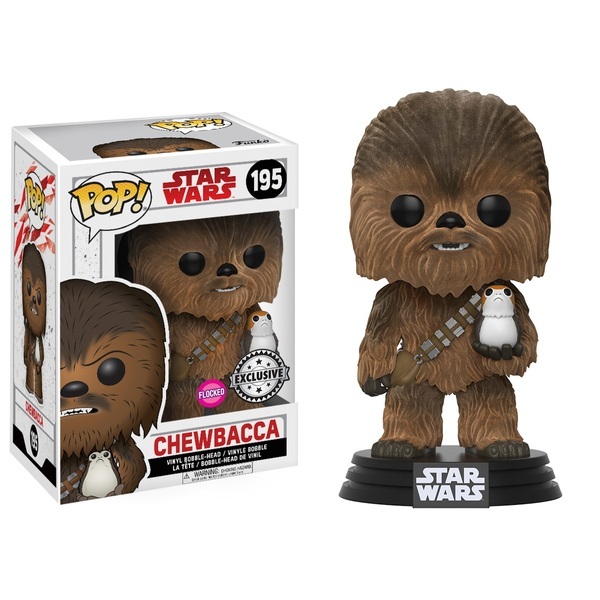 The flocked Chewbacca figure also comes with a unique texture that is felt like. This is a must have for any fan or collector.